The 2nd Annual Non-profit Excellence Symposium took place at the University of Southern Indiana on October 29th. 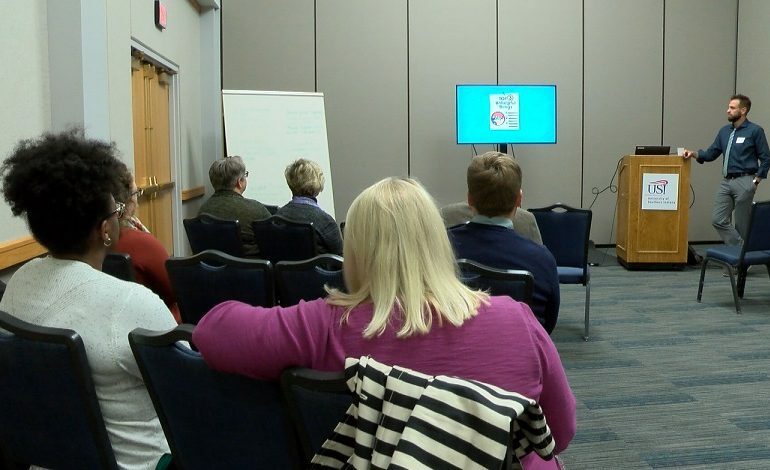 The event was hosted by USI’s Masters of Public Administration Program and was for anyone who works for, or has an interest in non-profit organizations. Various topics were discussed at the event such as social media management, legal issues, and grant writing. Speakers at the event are local nonprofit representatives and business people from the Tri-State. Participants say the event was more than just sharing ideas, saying it’s inspiring to see people coming together to strengthen the non-profit sector in the Tri-State.